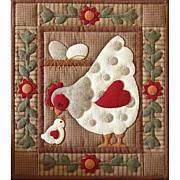 RACHEL'S OF GREENFIELD-Lone Star Wall Quilt Kit. 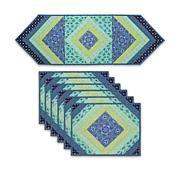 Loved as much today as years ago, the Lone Star is a favorite among quilters. 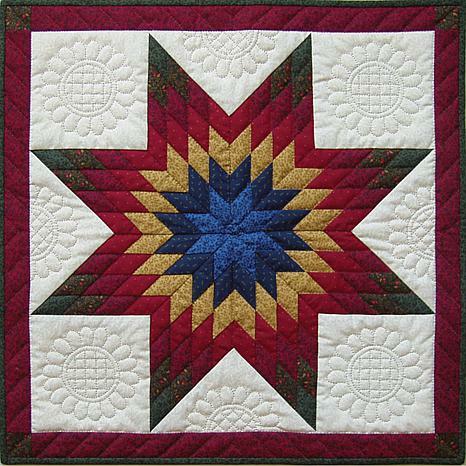 The star radiates from the center of the quilt with deep color and the surrounding background is the perfect place to display fancy stitches. 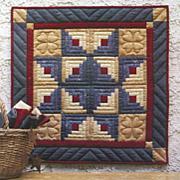 This kit contains all 100% cotton fabrics to complete the top, back, and binding of the quilt, batting, and complete illustrated instructions and quilting designs. 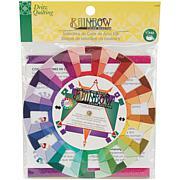 Colors: blue, red, gold, green, and cream. Finished size: 22x22 inches. Designer: Rachel T. Pellman. Note: Fabrics may vary slightly from those shown in photo. Made in USA.